The South West of Western Australia is increasing fertile ground for beer lovers. With so many breweries and good beer venues to explore, Guy Southern set off for a weekend break down the coast to put together an extended Crafty Crawl featuring much of the best the region has to offer. Here's part one – or should that be day one? Time your visit to one of the most famed and spectacular parts of Australia and this trip could take in internationally renowned surf, truffle festivals or whale migration while sampling beer from the 20 breweries between Cape Naturaliste and Cape Leeuwin in one of the most bio-diverse areas on the planet. What's more, we've heard there’s also a few wineries if you’re into that sort of thing *removes tongue from cheek*. The South West region of Western Australia’s natural beauty and relaxed lifestyle translates to a passionate local focus in every venue. Such is the area's appeal that bookings are highly recommended at venues that will take them during peak seasons and public holidays. Author's note: This article has been written with a weekend getaway in mind. With so much choice and a few country miles between venues, we've limited the suggested Crawl to five venues each day with the driver in mind as well as the passengers. A week’s holiday could easily cover everything featured in both articles and the many notable mentions too. For those who don’t want to drive, operators like Margaret River Brewery Tours can take the decision making and risk out of a day sampling beer in the South West too. The easy two and half hour drive south from Perth is enough time to let the cares of the world fade away without becoming boring. 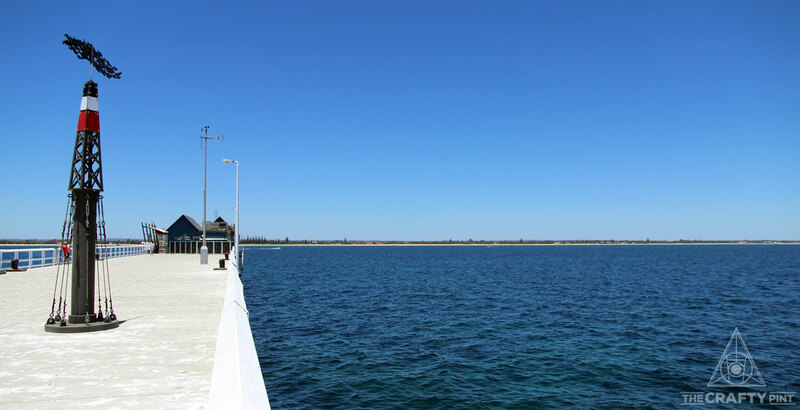 For most West Australians, it’s a familiar drive – one that makes a weekend getaway achievable – and, for tourists, the lack of congestion on the dual carriageway, outside long weekends, will be a welcome surprise. 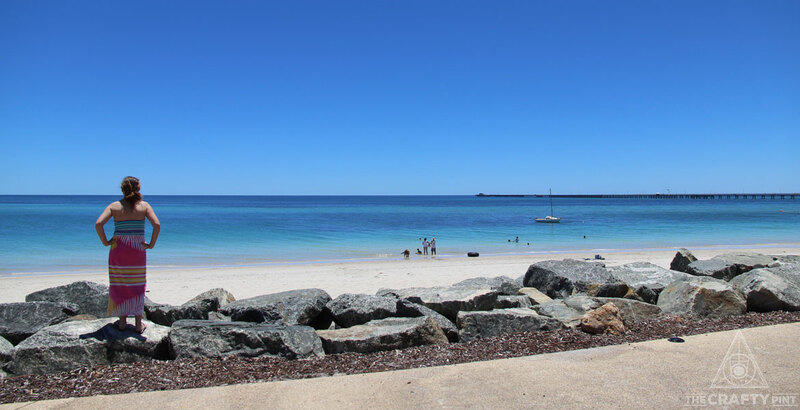 Your first stop is the popular seaside town of Busselton. You may have been tempted to stock up before hitting the road, but there's no real need as this retailer at the start of the trip has you covered. The award-winning Cape Cellars has been operating independently for nearly 20 years in the seaside tourism gateway town of Busselton. 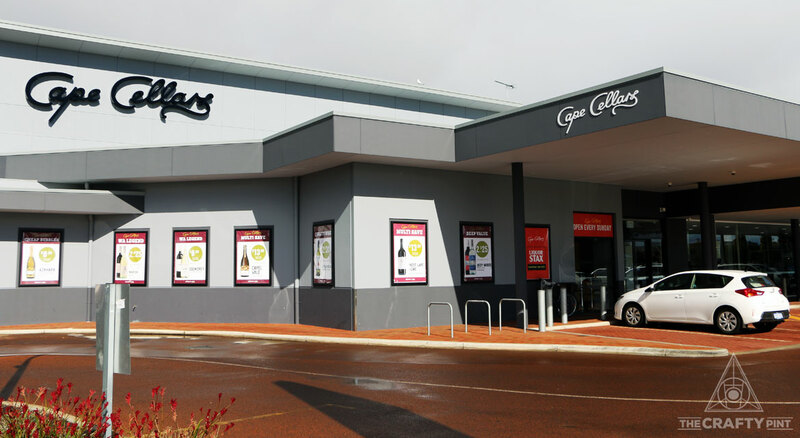 The 2015 move to its current location allowed for a greater focus on sourcing the very best local, national and international beer, wine and spirits – the result is a selection to give most metro retailers a run for their money. A sister store in Dunsborough opened the same year, spreading the local knowledge and independent mindset further around the bay. The love of all things crafty has seen the Cape team collaborate most recently with Cheeky Monkey Brewery, Bootleg Brewing, Cellarbrations Carlisle and Rocky Ridge Brewing Co.
With supplies sorted, it’s a quick drive to one of the most charming venues you'll encounter on this tour. Originally built in 1936, it was a working fire station until 1990 before hosting local charity stores up until its renaissance as Busselton’s only small bar. The community minded spirit of the former occupants extends to eight locally focused taps, four of them rotating, plus natural wines sourced from the region. Pizzas and share plates can be enjoyed inside surrounded by the tasteful renovations that include a fireplace – that’s right, a fireplace inside a fire station – or on benches in the outside courtyard area that overlook a local park, before you get back in the car and head further south. During the 30 minute drive from Busselton to Dunsborough, travellers will feel the heart rate slow further as the coastal sand beside the road turns into an ancient ochre gravel and the buildings become less and less frequent as the pace of life slows, rather appropriately, to a crawl. While there are crafty options in town, your best bet is to let this calm lead you with the salty breeze to Eagle Bay. Pro tip: In the warmer months, a pre-lunch dip in the turquoise waters of Meelup Beach should be taken to fully ensure a clear mind and resting heart rate below 70bpm. When the d’Espeissis family arrived on a dirt track in the late, post-war 1940s Eagle Bay they would have been hard pressed to imagine the Modernist pavilion that now crests their third generation farm. It's there that the siblings, Nick, Astrid and Adrian, run the brewery responsible for a solid core range of beer that’s supported by en pointe seasonal releases, a growing number of single batch beers and annual barrel aged collaborations. Long lunches spent watching the afternoon sun arc over the farm, Meelup National Park and Geographe Bay is indisputably one of the best beer views in Australia. If in doubt, check their social media accounts that feature some of the most alluring photos you'll see of the South West. Takeaway beers, growlers and more are available from the onsite providore and bookings are highly recommended if you're in the mood for a feed from their excellent kitchen. A short journey around the outskirts of Dunsborough will see you arrive at the most modern of the Clancy’s Fish Pub fleet. The damp squid – sorry – squib of the carpark downplays what lies ahead: a cavernous building that opens to a sprawling outside deck and terraced lawn overlooking bushland; in many ways, it’s more like a glazed tree house than a fish shack. At the time of writing, Clancy’s Fish Pub Dunsborough had devoted 16 of its 24 taps to breweries located between the two Capes that are tapped in latitudinal order along the lengthy bar. For the time poor, or those wanting to reminisce about a special beer, this is the perfect venue to sample the best the South West breweries have to offer. Keep an eye out for regular live music events that have previously drawn crowds of up to a thousand people and big screen sports action in a side room. After this stop, it’s a mere four minute drive or 20 minute walk back to Dunsbourough. 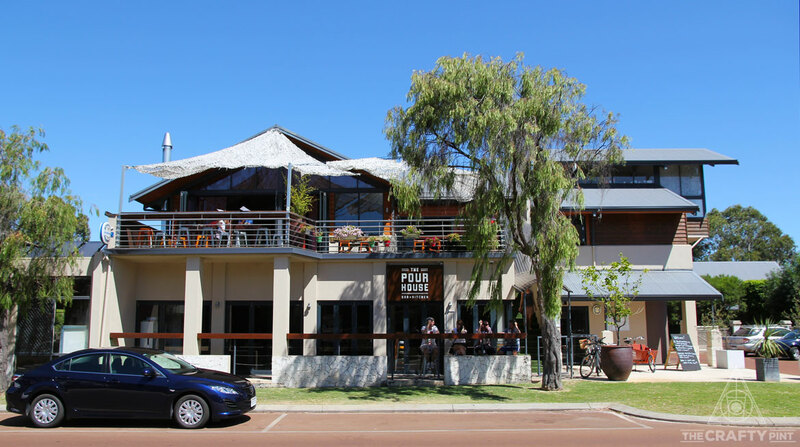 Once back in town, The Pourhouse is two minute walk from the centre of Dunsborough. Its relaxed atmosphere places it somewhere between a small bar and a pub: low slung lighting encourages intimate conversation from patrons that are a demographer’s delight, while noise levels rise steadily from the moment it opens in the late afternoon. 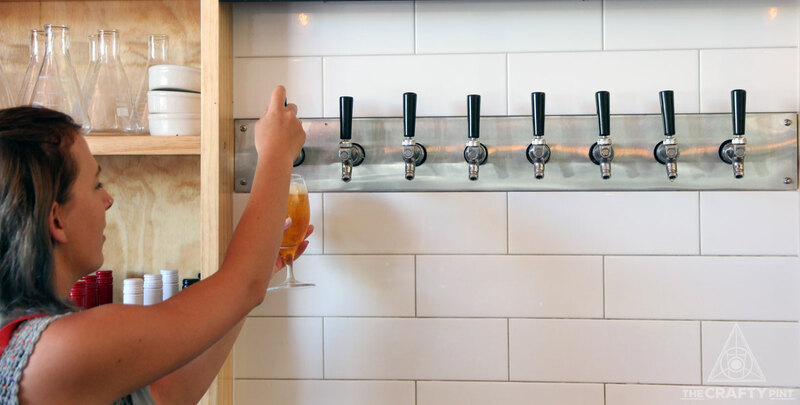 You can take your pick from ten rotating taps of beer plus another 80 options in the fridge that are available to enjoy with food from the share focused menu or back home. Lost Bills, Bunbury – This self styled "badass tiny bar" focuses on local beers and wine, while also offering a burgeoning whisky range, and has quickly become a beacon in the port town. Look out for regular tap takeovers. 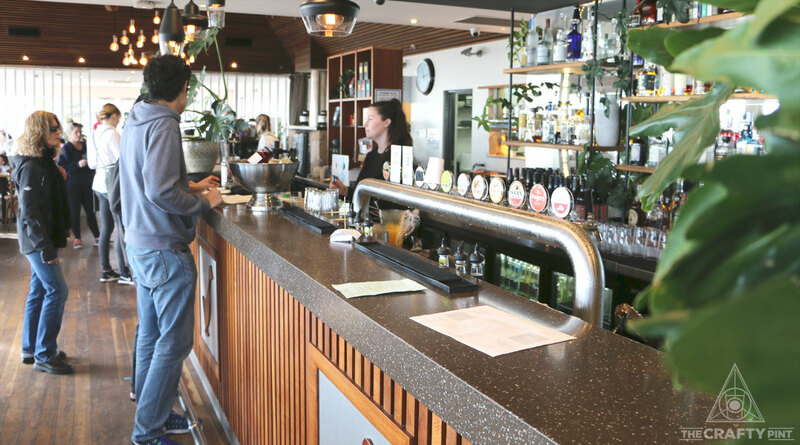 The Goose Bar & Kitchen, Busselton (pictured above) – Sitting at shore end of the longest wooden jetty in the world, the Goose hosts tap takeovers you can enjoy while watching the sun set over Geographe Bay. 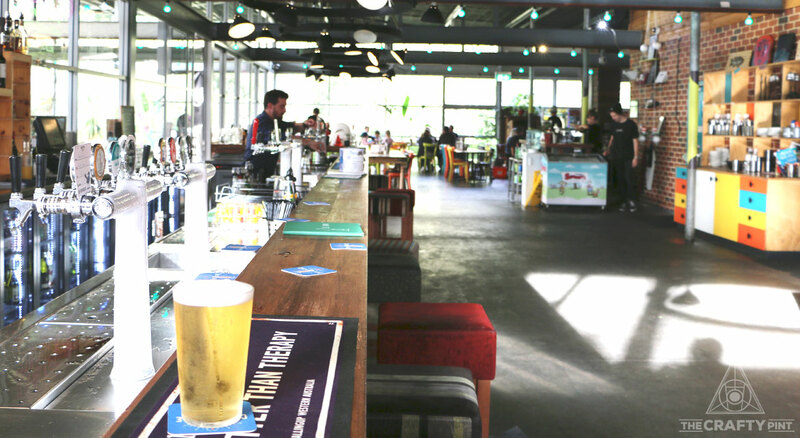 Occy’s, Dunsborough – Dunsborough’s own surf shack has 18 taps, many of which pour the venue's own rotating lineup of beers. Bush Shack Brewing Co, Dunsborough – The “pub in a paddock” that specialises in adjunct infused beers – chocolate or chilli beer anyone? Blue Mile Brewing, Busselton – Work is well underway to develop a massive 700 capacity venue as part of the Busselton foreshore redevelopment. 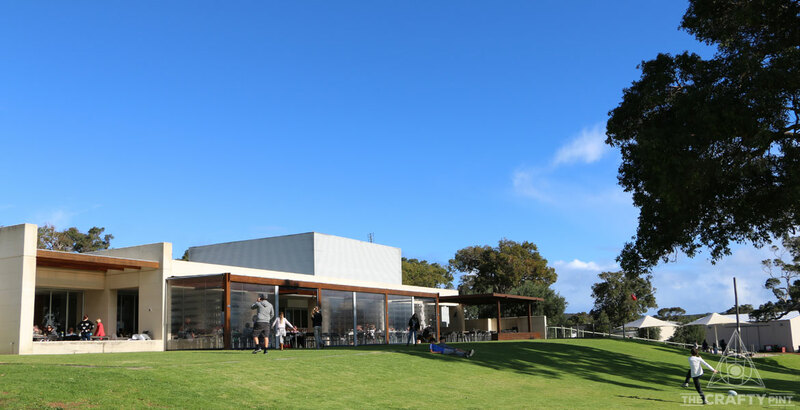 Rocky Ridge Brewing Co – While the brewery is located away from the public on a fifth generation dairy farm, a cellar door just behind the Busselton foreshore will soon be refreshing hop crazy locals and tourists alike. Keep an eye out for a barrel aged releases in the new digs. You can read part two of Guy's guide here as he heads south and deep into brewery territory. You can check out other WA Crafty Crawls for Perth, Northbridge/Mt Lawley and Freo – and you'll find the rest of them from around the country here.